It’s easy scheduling a driving course with our school’s online scheduling system. Altogether, our online system is an easy, fast and convenient way to book your in-car driving courses immediately! Not sure what to schedule – we made it easy. We offer either our beginner’s Academy Driving Program (three 2-hour lessons) OR A la Carte Courses for drivers of all various skill-levels that you can customize to your needs. Therefore, students can mix and match courses and schedule as many lessons as needed based on your time, required practice, and personal goals. Adult or Teen Academy Driving Program is for beginners that are new or relatively new to driving. The Teen Academy Driving Program fulfills the DMV required 6-hours of certified training from a licensed school. After you can schedule the A la Carte Courses as ADD-ON for additional training specific to the student’s needs. Most of our TEEN lessons offered during the weekday afternoons and weekends are “piggy-back” with another teen student. As such, this is where we end a scheduled appointment at the home of the next student being instructed. Therefore, the next student will drive the previous student home. In fact, we never piggy-back lessons with adult students. In addition, we also have private one-on-one teen lessons limited to either certain instructors and weekday morning appointments only. Please email our office for more information. Click here for our tuition and payment information. *Online scheduling is subject to terms and conditions. Therefore, the appointment scheduled may be changed or altered for the date, time or instructor depending on the logistics of scheduled lessons for the day. The student will be notified via email if changes are required. Questions? Concerns? Rather schedule with a person? Not a problem – we are here to help! Based on trying various options, as a small logistics-based business, we found that starting with email communications enables us to provide the fastest response and assistance to our students. As such, we provide unlimited support via email for all of our customers. Importantly, we do our best to respond to every email within one business day or less. Furthermore, we only outsource our phone answering service to optimize communication. However, emails will be answered by a knowledgeable Bay Area Driving Academy specialist. As such, we have limited phone support and, if needed, we can schedule a callback but find we can address most questions via email. 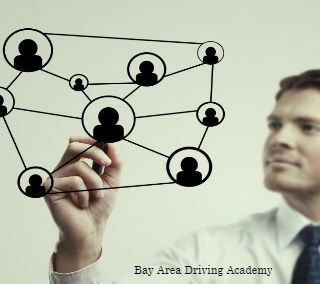 Our Bay Area Driving Academy specialists are available from Monday through Friday from 11:00 am to 5:00 pm.